Rollicking Productions produces, directs and writes live shows, interactive events, and atmospheric character appearances. It creates videos and films. It also offers talent services, creative consulting, interpersonal communication workshops, educational theater, and performance training. A professional director, producer, actor, writer, and musician, Mr. Johnson has headed entertainment production companies as executive director and artistic director. 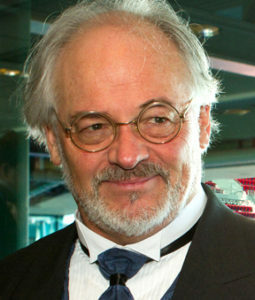 He has directed, acted, and served as dance and fight choreographer for plays by Shakespeare, Chekov, Webster, and Feydeau as well as many original and contemporary plays and musicals, including The Duchess of Malfi, A Midsummer Night’s Dream, Rags to Riches, The Wedding, Romeo and Juliet, Two Slatterns and a King, The Dragon, Guys and Dolls, Mr. Toad Rides Again, The Doctor and the Devils, U.S.A., You Can’t Take It With You, Love and Soft Music, HMS Pinafore., The Pied Piper, The Elephant Man, The Bluebeard, and Three In a Bath. Mr. Johnson studied dance with Martha Graham, Jose Limon, Carlton Johnson, Paul Draper, William Bales and Ruth Beckford. He studied judo with Professor William Montero Sr., and Senshin Budo karate with Jeremiah Tobin. He has directed, taught, or performed for the Old Globe Theatre, the Folger Theatre, American Conservatory Theatre, the USO, California Actors Theatre, Mt. Hope Estate, William Shakespeare Road Company, LA County Parks, Junior League, Sterling Renaissance Festival, Pennsylvanial Renaissance Faire, JP Nightingale, Hollywood Bowl, Franklin Institute, McCabes Guitar Shop, Philadelphia Museum of Art, Knott’s Berry Farm, Frontier Village, Yosemite National Park, and for a decade produced exclusive interactive entertainment for Hersheypark and Christmas Candy Lane. Mr. Johnson has created unique, interactive performances for many fine resorts and companies including Skytop Lodge, Hotel Hershey, Sagamore, Wheatland, Ahwahnee Hotel, Webster Bank, Morgan Stanley, Merck, Saks Fifth Avenue, Massanutten, Longwood Gardens, Coolfont, Canaan Valley, Wintergreen Resort, Black Point Inn, American House Hotel, York Harbor Inn, Belle Grove Mansion, Wayside Inn, Buck Hotel, Bryce Mountain, Park City Center, Timberline Lodge, and SMG. A songwriter at BMI, his tunes have been recorded by Joe Walsh, Melba Moore, Gene McDaniels, Merry Clayton, Nancy Wilson, and the Floaters. A produced playwright, published poet, and prolific screenwriter, Mr. Johnson has written, produced and directed dozens of film, video, and audio projects, and has performed as voice and on-camera talent for national and regional companies including the Boston Red Sox, NFL Films, League of Legends (original Gangplank, Taric, Heimerdinger), NESN, Fleer, Cox Broadcasting, Crayola, Black & Decker, Harley Davidson, Mercedes, Kelly Tire, AAA, LL Bean, Goodwill, Farmers Trust, Lockheed, Hershey, and Prevention Magazine. He directed and co-wrote The Perfect Woman, which was a nominee for NH Film of the Year in 2014. He co-created and has presented TACT interpersonal communication workshops for persons in law enforcement, medicine, hospitality, sales, recreation, education, and for corporate executives. He has narrated and provided character voices for acclaimed documentary films including Shadows Fall North, The People’s Forest, Front Wards Back Wards, and Celia Thaxter’s Island Garden, which he also edited. Mr. Johnson has directed over a thousand acclaimed educational performances and workshops for elementary schools, secondary schools, and universities in VA, CA, PA, NJ, NY, MD, CT, ME, NH, including James Madison University, San Jose State University, Shenandoah University, Millersville University, and SUNY. He continues to develop entertainment projects, teach on-camera, voice and stage acting, coach public speakers, and conduct performance workshops. His most cherished accomplishment is having raised four children as a single father. 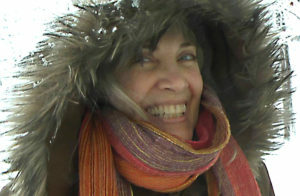 Videographer, photographer, editor, designer, an d book shepherd, Ms. Peirce has 40 years of experience in many forms of media. She has worked for small newspapers, commercial book printers, book production companies and small publishers for many years. In 2000, she left her position as publications coordinator at the University of New Hampshire continuing education, to further her career as an award-winning book designer, designing more books for numerous production houses and publishers. Some of her design work is currently available to view at Great Life Press. In 1994, Ms. Peirce began designing Web sites for the University of New Hampshire, and was soon designing Web sites for a number of diverse companies, artists, and individuals. She added customizing WordPress Web sites to her arsenal of skills, as well as digital e-book creation. For the past 10 years, Ms. Peirce has been helping authors to self-publish their own books, as well as working with Mr. Johnson on video projects and performance workshops. Mr. Belge has presented hundreds of interactive theatrical productions for schools, libraries, colleges, resorts, fine hotels, theme parks and festivals, large and small. He co-produced the Pocono Renaissance Faire in Bushkill PA; A Town Gone Mad in Hartford CT; Scrooge’s Wedding at The Sagamore Resort, Lake George, NY; and The Masque of the Red Death for the The Black Point Inn in Prouts Neck, ME. 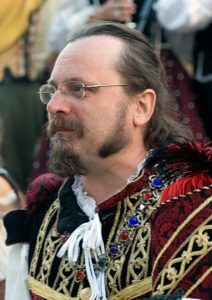 He has directed Shakespeare, French farce, Commedia, Children’s Theatre, Human Chess Matches, Jousts, and a live, full-body, burn stunt at such places as the Pocono Poe Village, Pennsylvania Renaissance Faire, Sterling Renaissance Faire, The American House Hotel, Hershey Hotel and the Buck Hotel, to name a few. Mr. Belge has taught interactive character improv techniques to hundreds of actors in a variety of themes and situations. His expertise in performance themes includes Renaissance, Victorian, Western and many others. Improv Techniques he teaches include creating and maintaining a persona, positive audience interaction, period manners and customs, incorporation of socio-historical elements, and comedy, comedy, comedy. As an actor, some of his favorite roles are the reformed Ebenezer Scrooge, Wild West Showman Buffalo Bill, Renaissance Lord Marshall Laww, and the recently deceased Dr. Maillard. Hailing from Syracuse, New York, as a youth he worked side by side with his father, a locally renowned restaurateur, and thus became a team player and a team leader at an early age. In college he studied the performing arts all the while helping to manage the family business and participating in semi-professional theatre. Mr. Belge thrives on collaborating in artistic endeavors. He also enjoys cooking, gardening, solving crossword puzzles (in ink), desktop diplomacy, the outdoors, and a leisurely breakfast in a local diner. Producing and directing theater, faires, festivals, major events, video and film ; voice-overs; creating themed shows; live and on-camera acting; interactive and improvisational theatre; videography; photography; producing audiobooks/audiodrama; interpersonal communication workshops; screenwriting; comedy sketch writing; song writing; copywriting; educational theatre and workshops; performance workshops; consulting; audition coaching; instructing. For a video gallery of many of our shows from the last 30 years, please see our Virtual Interactive Theatre channel on youtube.